There's no such thing as too much sushi. 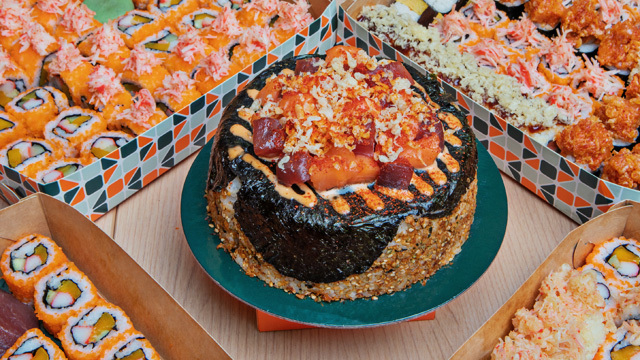 (SPOT.ph) For the most extra party ever, there's no better centerpiece than a sushi cake. It's no surprise that Sushi Nori, known for their overloaded sushi rolls, has their own version. 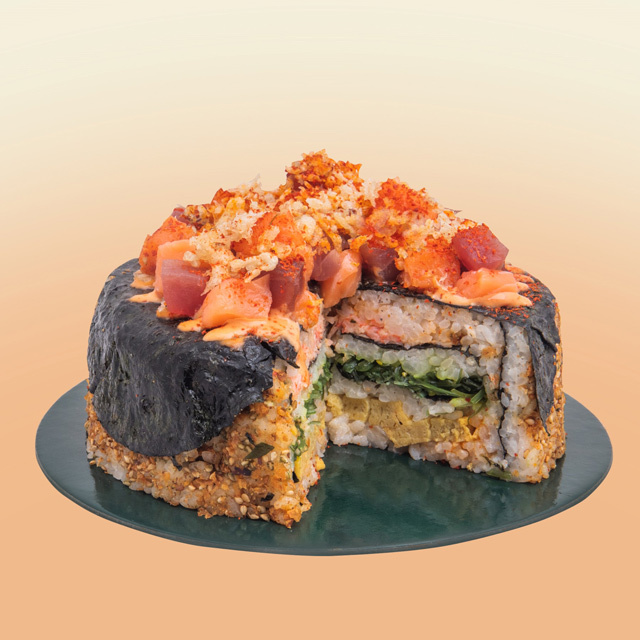 Their Sushi Cake (P1,200) is a towering creation of sushi rice, salmon, tuna, tamago, and cucumbers, and a special mildly salty soy sauce-based dressing plus a sprinkling of toasted sesame seeds. 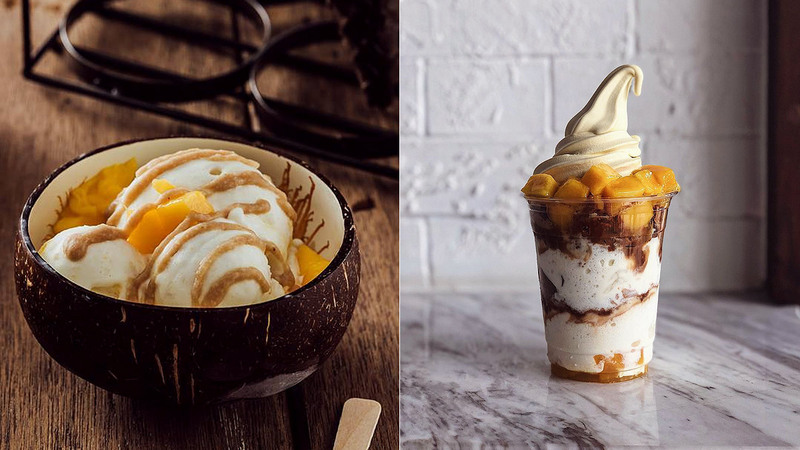 But they aren't quite done yet—in time for your next potluck, they've launched two new Sushi Cake flavors. From its red hue, you can tell that the Spicy Sushi Cake packs a punch. 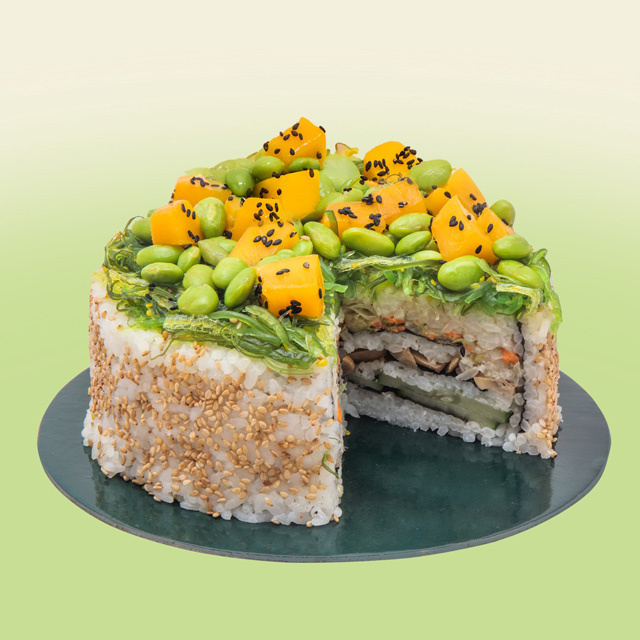 Vegetarians and those who simply prefer vegetables won't feel left out with the Veggie Sushi Cake. The Spicy Sushi Cake (P1,299) is great for spice fiends with salmon, tuna, furikake, and a generous sprinkling of togarashi for maximum heat. For vegetarians or those who simply prefer to go meatless, they also have the Veggie Sushi Cake (P1,299) topped with crunchy edamame. 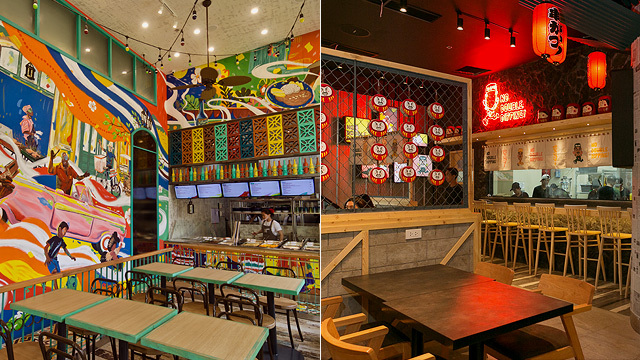 See a list of Sushi Nori branches. For more information, log on to Sushi Nori’s Facebook page, or contact 0917-888-6674.